PowerCalendar allows users to see the schedules of all their team members in one customizable calendar. 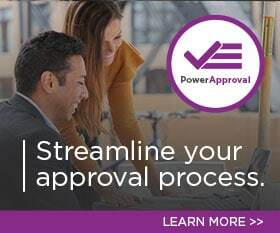 PowerObjects, a professional services firm 100% focused on providing service, support, education, and add-ons for Microsoft Dynamics CRM, recently released PowerCalendar, a PowerPack add-on that allows for unparalleled ease of scheduling, filtering, and appointment creation in one unified calendar within Dynamics CRM. Users are able to schedule or change meetings for anyone in their system just by viewing one calendar and seeing what CRM activities they have scheduled or completed for that day. Activities on PowerCalendar can be sorted by either day, week, or month. Appointments can be easily moved or changed within PowerCalendar, making it much easier for users to view upcoming or past activities on a calendar compared to viewing them in a list in out-of-the-box CRM. PowerCalendar allows the user to use CRM’s teams to see tasks and appointments by group. The user can further filter their calendar by appointment type—such as a task, meeting, or phone call—allowing users to quickly access the information they need and get a full understanding of what each team member has scheduled or already completed. PowerCalendar is one of twenty-three add-ons that PowerObjects has developed to enhance Microsoft Dynamics CRM functionality. Simple to install and easy to use, PowerCalendar is available for a free thirty-day trial and can be downloaded from the PowerObjects website. The team at PowerObjects has worked hard to become the recognized leader in delivering Microsoft Dynamics CRM solutions through unparalleled offerings of service, support, education, and add-ons. As winner of the Microsoft Dynamics CRM Worldwide Partner of the Year award for 2012 and 2013, and Microsoft Dynamics Cloud CRM Partner of the Year award in 2015, PowerObjects has built an unmatched team of CRM superheroes that help businesses and organizations of all types increase productivity, streamline business processes and build better relationships. PowerObjects is headquartered in Minneapolis, Minnesota, with offices in Chicago, Cincinnati, Dallas, New York, Omaha, Philadelphia, San Francisco, Seattle, and Toronto.